1. Glutino cheddars win for the most off-putting name ever. 2. I have never heard of Sailor Boy Pilot Bread, but I suspect it might be the distant cousin of the hardtack sailors were forced to eat on long ocean voyages. 3. Ak-Maks are what AT-ATs crumble into their soup when they're home sick in bed. 4. Jingo's sound racist. I don't know why they sound racist, but I do know Paula Deen shouldn't buy them. 5. When I was a kid, my dad was obsessed with Stoned Wheat Thins. He'd come home from work and stand in the kitchen as my mom finished dinner and shovel them in. They were his amuse-bouche. 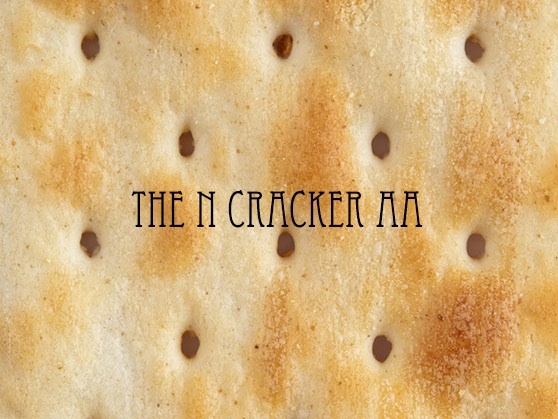 For my part, I never understood their appeal and I still think they are the blandest, driest cracker ever to be partially perforated. …Oh my. I just absolutely have no idea what's going to become of Flight 5, because I just absolutely have no idea what I might vote for my own self. Water Crackers, a classic; Town House original, currently sitting on my pantry shelf; Cheez-Its white cheddar, brilliant; Ritz Bits, ditto (but they get your knuckles all gritty/slimy) (but I don't care); Stoned Wheat Thins, that never clash with any cheese, be it mild or Carpathian cat-pee-ish; Milton's, which I never heard of before our nomination round and OMG I want to eat to there.